Half Of Your World Is Invisible: Hemispatial Neglect — SPORK! In Hemispatial Neglect, half of your world becomes invisible, and you don’t even know it. You can only see the numbers 1 through 6 on a round wall clock, half of a plate of delicious food. To you, it all seems perfectly normal—you just have to move your head or eyes more to one side if you want to see the rest of the object. To top it all off, Hemispatial Neglect isn’t just restricted to your vision: it can affect any combination of your senses, including sights, sounds, and touch. Although it’s not well understood at this point, Hemispatial Neglect happens when a lesion forms in the parts of the brain responsible for attention and memory—usually the parietal lobe located near the top and back of your head above your ears. Like that psychology experiment on YouTube (shown) where no one notices the gorilla walking through a gang of people passing a basketball, a person with a lesion in the parietal lobe can no longer hold her attention over a certain area of space, focusing instead on certain parts. So when individuals are asked to cross short horizontal lines with vertical ones (illustrated), they only cross half of the lines on the paper. They are astonished when the paper is rotated so that some of the uncrossed lines slip into their awareness, just like many people were (or at least, I was) when they first watched the gorilla video. Here’s another thing: Hemispatial Neglect is biased, affecting the left half of vision much more often than the right. This is because the right side of the parietal lobe is associated with the ability to map things out in space—an integral component of Hemispatial Neglect—while the left deals more with language. Furthermore, since the right half of the brain is responsible for controlling the left half of the body, a lesion in the right parietal lobe results in left Hemispatial Neglect, greatly impairing someone’s awareness in their left field of vision. That’s not to say that right Hemispatial Neglect doesn’t occur; it’s just not as common. Neglect can even affect the imagination. In one study, two Italian patients from Milan were asked to describe a well-known plaza in the city. When imagining themselves at one vantage point, they only talked about buildings that would have been on their right half of vision. However, when they envisioned themselves standing at a place opposite from the initial vantage point so that the buildings that they hadn’t mentioned were now in their mental view, they recalled the buildings that they had forgotten about previously. In this case, the individuals didn’t even need to see anything with their own eyes. Whether it’s a physical sighting, a dream, a memory, or a hallucination, the very concept of space changes with Hemispatial Neglect. With such abstract symptoms, it’s difficult to estimate just how many people have Hemispatial Neglect. Furthermore, the disorder usually results from a stroke that affects many different areas of the brain, confounding accurate diagnosis. Some people with Neglect, for example, may also be blind in that area of vision, making it difficult to distinguish between the two. Others may not be able to cross out lines in a test for Neglect because their motor skills have been compromised. Neglect need not even be restricted to exactly one half of space. Because of this uncertainty, various studies have estimated that the number of stroke patients with Neglect ranges from 8 to 95 percent. Regardless of the true rate of incidence, however, researchers have continued to develop therapy to help these affected individuals. One common approach is to induce patients to engage with objects on their affected side. Some approaches also involve noninvasive brain stimulation or medicine. 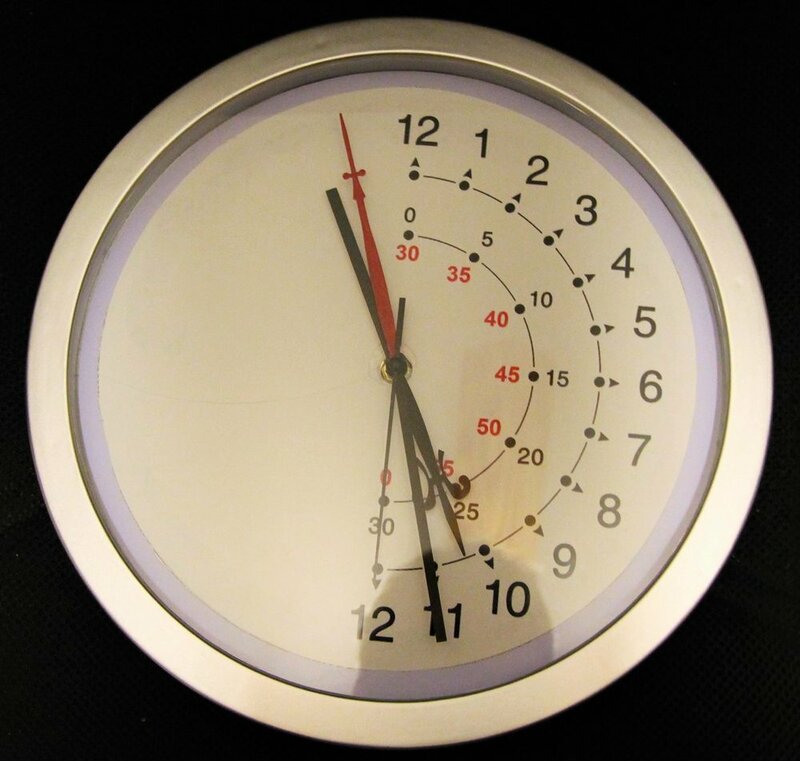 Researchers have also designed special items, like a clock where all of the numbers are drawn on one half, so that the patient has no trouble telling the time. Thanks to efforts like these, a person with Hemispatial Neglect can at the minimum live a higher quality of life, gradually revealing more of the mountain that they didn’t know they didn’t see. Parton, A., Malhorta, P., & Husain, M. (2003). Hemispatial neglect. Journal of Neurology, Neurosurgery, and Psychiatry, 75(1), 13-21. Gallagher, M., Wilkinson, D., & Sakel, M. (2013). Hemispatial neglect: clinical features, assessment, and treatment. British Journal of Neuroscience Nursing, 9(6), 273-277. Smania, N., Fonte, C., Picelli, A., Gandolfi, M., & Varalta, V. (2013). “Effect of eye patching in rehabilitation of hemispatial neglect.” Frontiers in Human Neuroscience, 7.